This was the world's first factory and began the Industrial Revolution. Built in 1771 by Richard Arkwright, it used water power from the River Derwent and from Cromford Sough to turn a large waterwheel which drove the cotton-spinning machines inside. Around 1788 the mill was extended from 11 windows to 15. 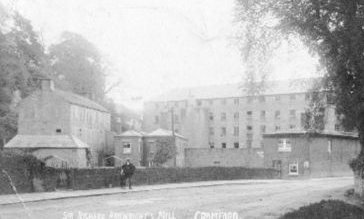 The mill was a great success, a canal was built at Cromford to supply raw materials, and the mill was copied in many other countries. Cotton spinning was ended here in 1846 because of failure of the water supply. 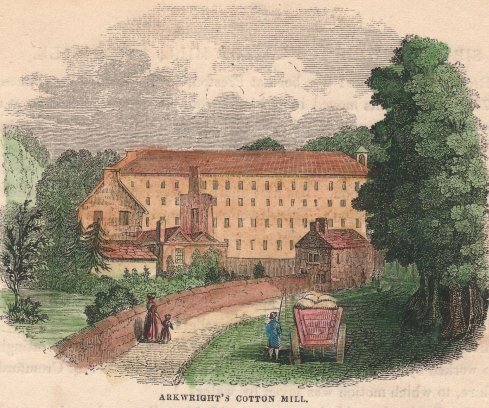 Read more about this amazing story on The CROMFORD MILLS.